As in WRAP, in Peer Support each person is the expert on her or himself. And yet, when discussing things with others about WRAP using Peer Support, we can open the way to considering, and even trying, new ways of doing things and being that make it easier to feel better, get well, stay well and move forward in our lives. With WRAP and Peer Support, the possibilities are endless. Before combining WRAP and Peer Support, you need to know what Peer Support is. The broad definition of Peer Support, as it is used in the mental health system, is when two or more people with similar experiences get together in person or electronically to share their experiences, to learn together how to move past the difficulties this has created in their lives, to give each other hope, and to support each other as they do the things they want to do and make their lives the way they want them to be. Peer Support can be used by anyone with any kind of life experience. 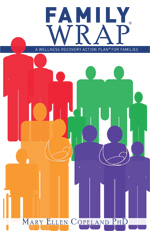 Peer Support enhances the process of developing a Wellness Recovery Action Plan (WRAP) by giving people the opportunity to discuss things they are considering, by learning from other people’s experiences and by sharing and exploring options. 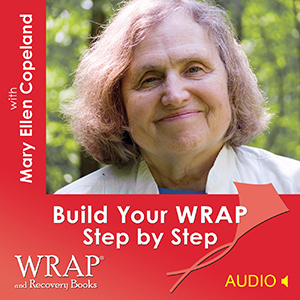 Many formats have been used successfully, whether it is two people working together, a WRAP Group that meets once or several times a week, or even in a larger WRAP workshop or seminar that meets for a full day or for several days in a week. Many who have spent time in the mental health system have learned how to be “patients” instead of people. After someone has been given a “mental illness” diagnosis and begun to use services designed for people with “mental illness,” they may feel inferior to other people, and begin to think about all aspects of their life as if they were a “mental patient.” One might become, in their own mind and the mind of others, a diagnosis rather than a person and feel separated from others or devalued. The hope is that, through using Peer Support, people can move past these old views of themselves, and begin seeing themselves as the same as everyone else. This supports them Moving Forward in their life, as they recover and do the things they want to do and be the way they want to be. This is done by practicing relationships in Peer Support in ways that may be less familiar, but that help them remember who they really are and what they are working toward. 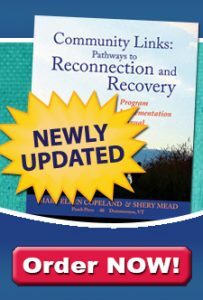 Instead of taking care of each other and thinking of each other as “mentally ill,” in Peer Support we build a sense of community where we are responsible to each other, and where we focus on learning together, on recovery and wellness, moving forward in our lives, and on working toward our dreams and goals. Peer Support is often not easy. People may have been strongly influenced by the mental health and other systems (health care, education, marriage, etc.) that have developed in our society. It can be hard to change those ways of doing things and the beliefs and assumptions that supported them. Sometimes in Peer Support, because of old habits, people do the things to others that were done to them. They may try to “help” each other by suggesting more medication, by getting together behind closed doors and “figuring out” what to do with a “difficult” person, or by teasing, bullying or trying to control others. Using Peer Support, allows other to figure out responses that move them forward rather than keeping them stuck in old ways of being that didn’t work. 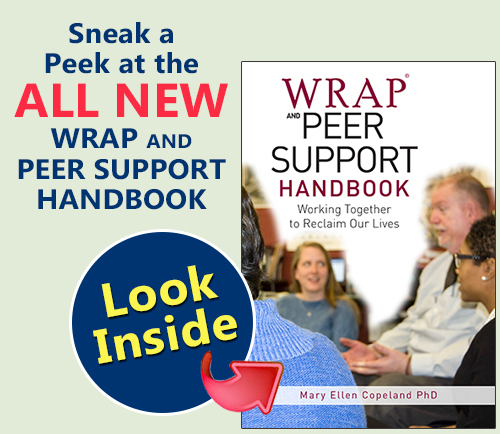 Learn more about how to effectively use WRAP and Peer Support together in the ALL NEW WRAP and Peer Support Handbook. WRAP and Peer Support is not about being given answers, but rather about finding answers that work for each of us as individuals. 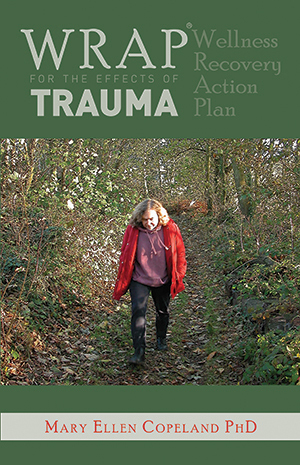 Therefore, this book contains many, many discussion topics, suggestions for role plays, and even walks you step-by-step through the process of developing a WRAP using Peer Support strategies. Looking for More Great WRAP Resources?